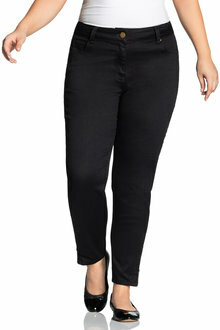 Step out in style and feel fabulous in plus size jeans from EziBuy. This collection includes a range of elegant styles from straight leg jeans to boyfriend jeans in sizes 14 to 26. Jeans are a staple in any woman's wardrobe but it can be hard to find a comfy go-to pair. 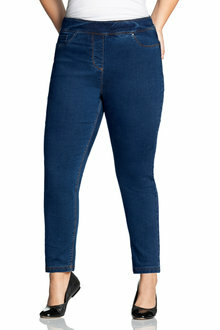 This collection of plus size jeans will have you covered with its range of different styles and colours. 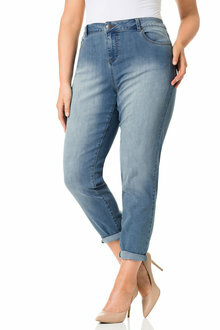 Find some versatile all-occasion jeans with some plus size straight leg or bootleg jeans. 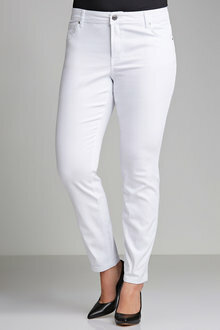 These jeans maintain a slimming shape that elongates the leg. Keep the look simple with a casual plus size top or dress them up with an elegant plus size shirt. Girlfriend and boyfriend jeans are designed with a looser, relaxed fit to guarantee your comfort. 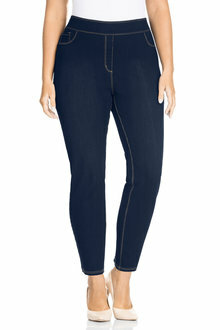 Made for casual weekends, these jeans can be easily matched with casual t-shirts and plus size knitwear. Find a comfy pair of plus size jeans that will have you set for any occasion with this collection at EziBuy. Shop online and pay with Afterpay today!